At PC Clinic Midlands, we respect and protect the privacy of our customers and those who use our website. The following Privacy Statement provides details about how your personal information is collected and used. This privacy statement applies to the PC Clinic Midlands website, products and services that are located in, but not limited to the pcclinic-midlands.co.uk domain. If you have questions or concerns regarding this privacy statement, you should first contact PC Clinic Midlands as described below. 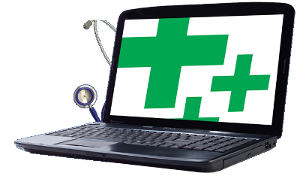 PC Clinic Midlands is the sole owner of information collected on this site. We will not sell, share, or rent this information to others in ways different from what is disclosed in this statement. We will never share, sell, or rent your personal information with third parties for their promotional use. Occasionally, we enter into contracts with third parties so that they can assist us in servicing you (for example, providing customer service). The contracts prohibit them from using any of your personal information for their own purposes, and they are required to maintain the confidentiality of the information we provide to them. We may also disclose certain information to partners who introduced you to PC Clinic Midlands services. Lastly, we may disclose or report personal information in limited circumstances where we believe in good faith that disclosure is required under the law. For example, we may be required to disclose personal information to cooperate with regulators or law enforcement authorities, to comply with a legal process such as court order, subpoena, search warrant, or law enforcement request. We use a variety of technologies on our sites. Among these are cookies: a text-only string of information that a website transfers to the cookie file of the browser on your computer's hard disk so that the website can remember your browser in the future. A cookie will typically contain the name of the domain from which the cookie has come, the 'lifetime' of the cookie, and a value, usually a unique number. When you visit our website, open our email, or encounter our services online we may send you a cookie. Cookies may be used in many ways: they allow us to verify the login status of customers using products or services linked directly with our website, track point of entry to point of registration for those users participating in our affiliate signup programs, and track and measure the success of a particular marketing campaign. Cookies also allow us to track overall site usage and determine areas users prefer, enabling us to make your visit to our website easier by recognising you when you return and helping to provide you with a customised experience. Usage of a cookie is in no way linked to any personally identifiable information while on our site. You have the ability to accept or decline cookies by modifying the settings in your browser. If you choose to disable cookies, you may still use our site; however, you may have limited access to some areas within our website. For more information on how to manage cookies in your web browser, see www.aboutcookies.org. We also provide you with an option to opt-out of receiving certain cookies associated with our online advertising. This policy is in effect as of July 2012.